Chevrolet / Opel / Vauxhall 1.7 CDTi 130PS ECU remaps added to Bluefin platform! 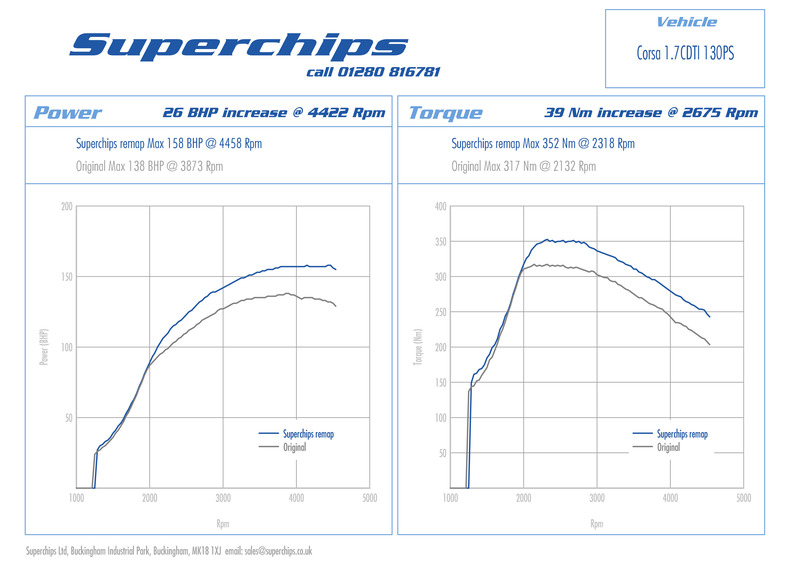 Superchips powers up the 2.2 CDTi Vauxhall Antara and Chevrolet Captiva 2.2 VCDi 184PS models! The 3.0-litre TDI, 204PS Audi A7 is a great car as standard but the technical wizards at Superchips have now created an affordable way of making it even better, thanks to a new performance boosting ECU remap. Superchips’ technicians have carefully analysed the parameters within the Audi’s Bosch EDC17 engine management system and have developed a revised ECU remap that greatly increases the 3.0-litre TDI’s power and torque output, without sacrificing reliability, refinement or fuel economy. Attention Fiat Bravo owners! Would you like to enjoy more performance and potentially improved fuel economy? Improve your turbodiesel car’s fuel economy and beat the Chancellor’s duty rise with a Superchips ECU remap!